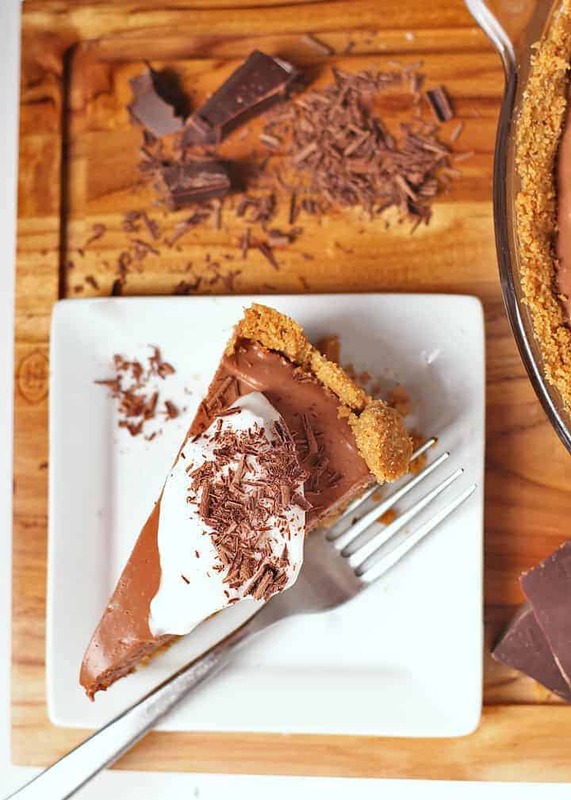 This creamy vegan chocolate pie is the perfect pie for your holidays. Made with a gluten-free graham cracker pie crust and with just 6 ingredients, it’s a quick and easy dessert that the whole family can enjoy. Rich, decadent, and delicious! This post is sponsored by Nairn’s. All opinions are 100% mine. Friends, it is just days before Thanksgiving and I have saved the best for last. After a month of lentil loaves, cauliflower mashed potatoes, and sweet potato casseroles, it is time for some serious dessert. And I think you’re going to LOVE the dessert I’ve got for you today. It’s a gluten-free and vegan chocolate cream pie! This holiday pie is rich, creamy, absolutely decadent, easy to make (just 6 ingredients! ), and best of all, a dessert that most anyone – no matter your dietary restrictions – can enjoy. 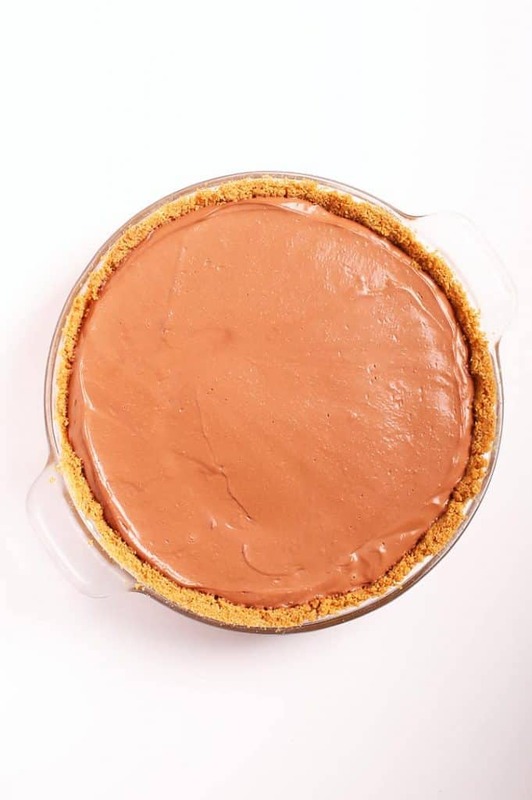 Let’s take a closer look at how to make this chocolate cream pie. 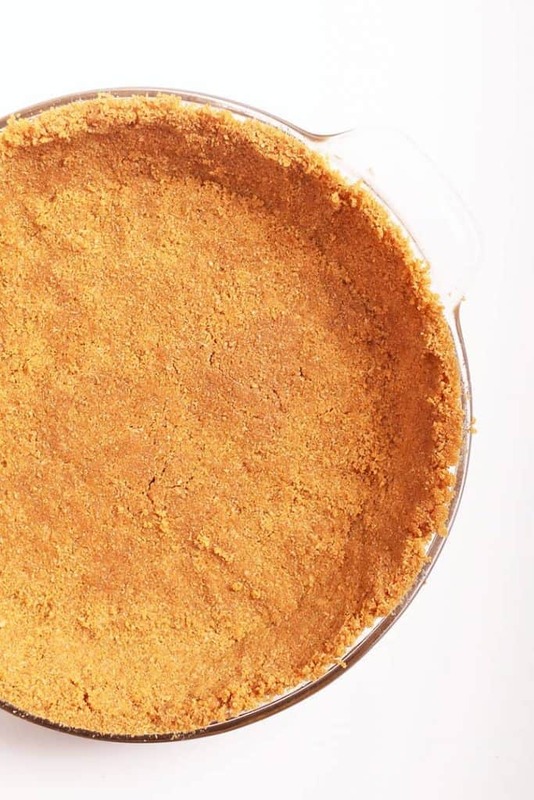 I love graham cracker crusts because they are delicious, versatile, and much easier to make than a traditional pie crust. I especially love graham cracker crusts for cream pies. There is something amazing about the crispy texture of the graham cracker paired with thick and creamy custard. So good! For this graham cracker crust, I used Nairn’s Gluten Free Oat Grahams. If you haven’t heard of Nairn’s, let me fill you in! 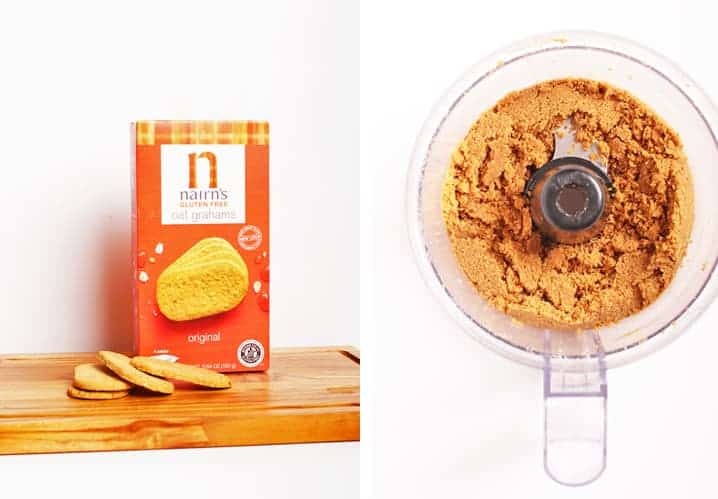 Nairn’s is a Scotland-based company dedicated to creating delicious and wholesome gluten-free snacks. And they have been doing so for over 100 years! 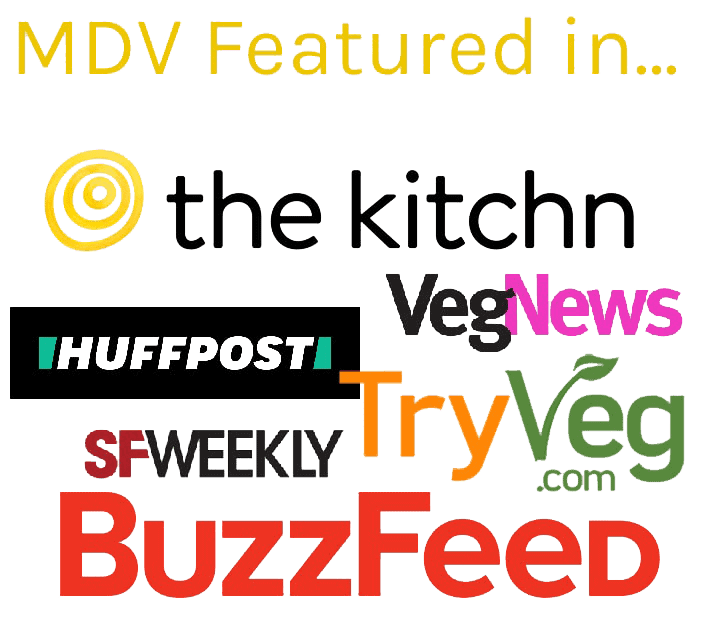 At the base of all their snacks are carefully grown, sourced, and milled gluten-free oats. 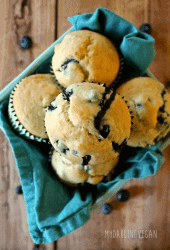 All their products are baked in a dedicated gluten-free bakery meaning that each batch is certified gluten-free. Not only are their Oat Grahams vegan and gluten-free but they are also made with less sugar, complex carbohydrates, and wholegrain oats that are rich in nutrients and minerals making them a food that is naturally energizing and great for the gut and overall health. Oh, and they are hearty, delicious, and satisfying. In other words, Nairn’s Oat Grahams are perfect for baking gluten-free vegan pie crusts. Nairn’s is making it very easy for you to try out. You can download a $1 off coupon and find them at your local grocery store (available at Wegmans, Safeway, Albertsons, Whole Foods, Shop Rite, Kings, Kroger, Sprouts, Gelson’s, Walmart, and more). 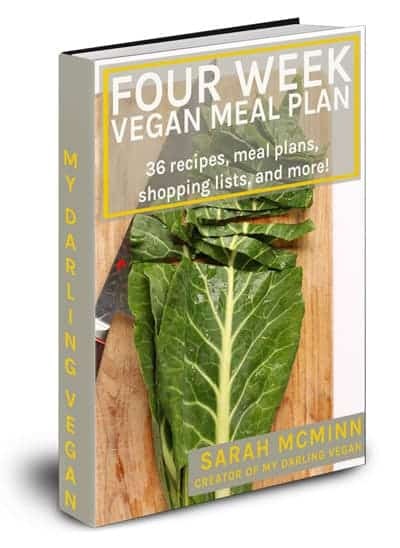 You can also pick some up on Amazon or through their website. To make the pie crust, place the Oat Grahams in a food processor along with the sugar. Blend until you have a fine crumb. With the motor running, slowly add in the melted butter until the crust starts to clump together slightly. The crust should hold together when pressed between your fingers. Press the crust into the pie pan and bake for 10 minutes to get it nice and crispy. As soon as it out of the oven, place your pie crust in the refrigerator to chill. That’s it! Because there are so few ingredients, it’s important to get them right. First, let’s talk about silken tofu vs regular tofu. As I mentioned before, getting the right tofu is paramount. Silken tofu, unlike regular tofu, is a shelf stable product found usually in the international food aisle at most well-stocked grocery store. If you can’t find it, you can buy it here. Silken tofu has a creamier consistency than regular tofu making it a great egg replacement for custards, puddings, and cream pies. Like regular tofu, silken tofu comes in soft, medium, firm, and extra firm. For this recipe, I recommend using extra-firm to give you the texture you want. We also want to make sure to get high-quality vegan chocolate and full-fat coconut milk (that’s the kind that comes in a can). Next, the chocolate is melted gently over a double boiler. Once silky smooth, place in a blender with the coconut milk and tofu and blend until completely smooth. Pour the filling into the prepared pie crust and chill for at least 4 hours. That’s it! 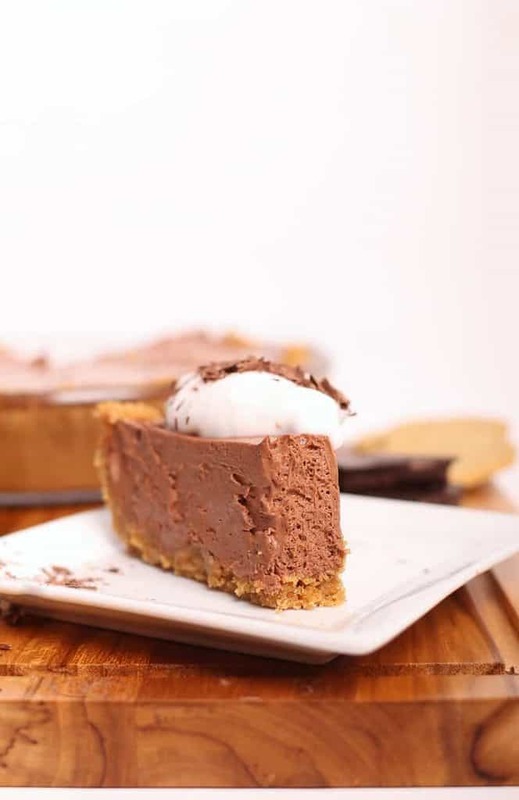 A creamy chocolate pie over a buttery gluten-free vegan graham cracker crust for the perfect end to your holiday meals. This pie only has 6 ingredients so make sure to use the highest quality ingredients you can find. The graham cracker crust should be about 1/4″ thick. If it’s much thinner, it will break as you cut into it. Make sure to spray your pan generously so that the crust does not stick. 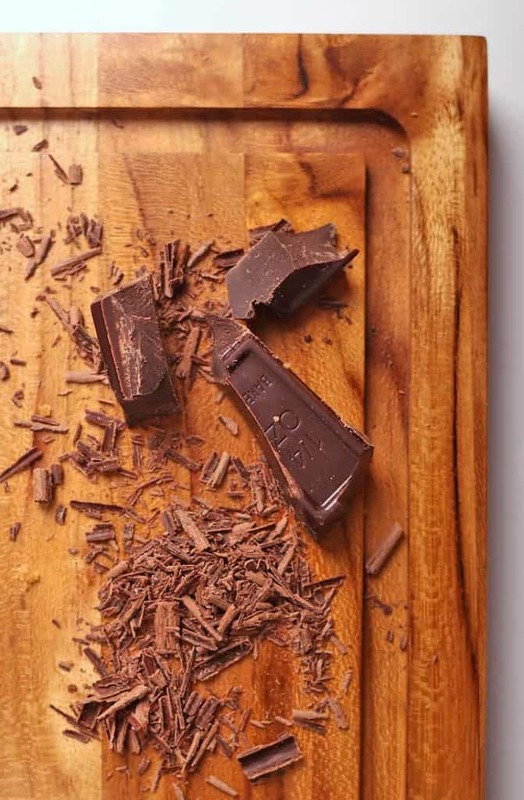 Melt your chocolate gently over a double boiler. Be careful not to overheat your chocolate as it will burn quickly. Let chill for at least 4 hours to ensure that the pie is completely set up before serving. 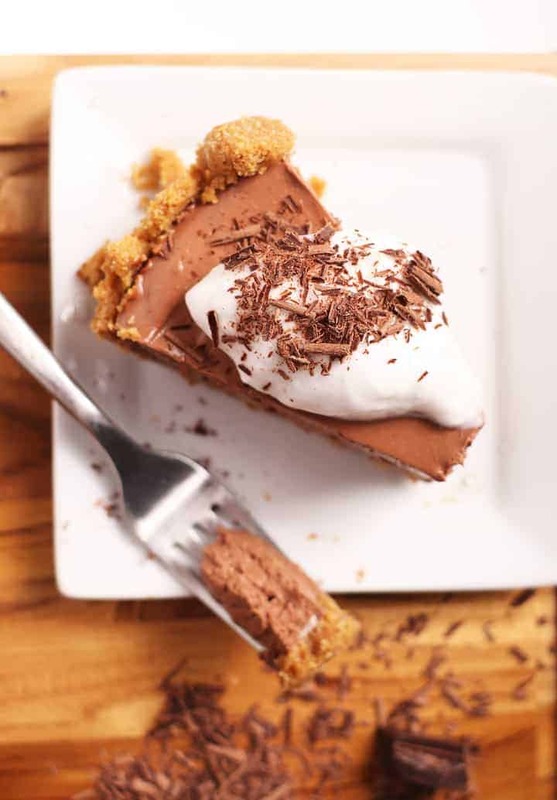 When you are ready to serve, serve the pie with coconut whipped cream, chocolate shavings, and ground cinnamon (optional). Keep the pie in the refrigerator until you are ready to serve. Uneaten pie should be tightly wrapped and stored in the refrigerator for up to 5 days or in the freezer for up to 1 month. Serve among your favorite pies as part of your holiday meal. 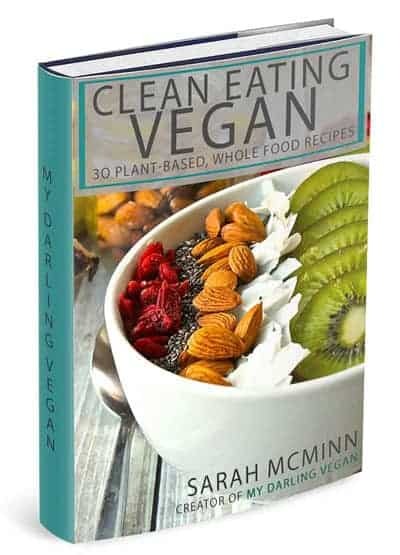 Ready to try this vegan Chocolate Pie for yourself? Let’s take a look at the recipe below. 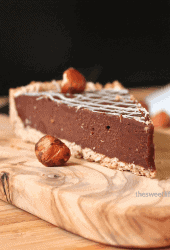 This creamy vegan chocolate pie is the perfect pie for your holidays. Made with a gluten free graham cracker pie crust and with just 6 ingredients, it's a quick and easy dessert that the whole family can enjoy. Rich, decadent, and delicious! Preheat the oven to 350. Lightly spray a 9" pie pan and set aside. 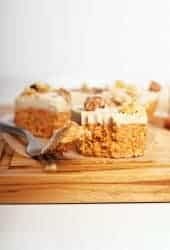 In a food processor, combine the oat grahams and sugar. Mix until the graham crackers are broken down into a fine crumb. With the motor running, slowly add in the melted butter until it is completely incorporated. The crumbs should stick together when pressed between your fingers. Transfer the oat grahams/butter mixture to your prepared pie pan and evenly spread it across the bottom and up the edges. The crust should be about 1/4" thick. Place it in the oven and bake for 10 minutes. Remove from oven and let the crust cool in the refrigerator while making your filling. To make your filling, melt the chocolate over a double boiler. Gently melt it, making sure not to over heat the chocolate as it will burn quickly. Once the chocolate is melted, combine the coconut milk, silken tofu, and chocolate in a blender. Blend until completely smooth. Spread evenly over chilled pie crust. Return to the refrigerator and chill for at least 4 hours or until the pie is set. Serve with coconut whipped cream and chocolate shavings. Pie should be stored in the refrigerator until ready to serve. Leftover pie should be tightly wrapped and stored it in the refrigerator for up to 5 days or the freezer for up to 1 month. This was Christmas dessert and a big hit. My dad had a second piece even after I told him there was tofu in it. I used a premade Graham cracker crust so it was as easy as pie. This creamy deliciousness is chillin’in the fridge right now. I didn’t have enough chocolate chips so I used 1/2 cup Hershey’s Extra Dark Cocoa Powder, 1/2 cup coconut sugar, 1 tsp avocado oil and enough hot water to make a fudgy paste. Popped it in the microwave for 20 second bursts, stirring in between, until it was smooth and the sugar was incorporated. I let it cool and added it to the Silken Tofu, and coconut milk in the blender.Poured it in the pie crust and like I said it’s chilling right now. It’s Super rich and creamy. Turned out perfect! 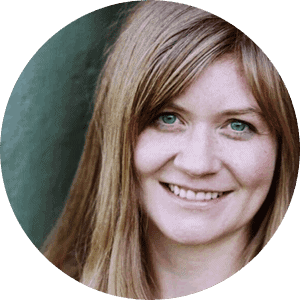 Thank you for your recipes and dedication. You are awesome!!! This pie was a huge hit at our Thanksgiving dinner and will be my go to chocolate pie recipe!